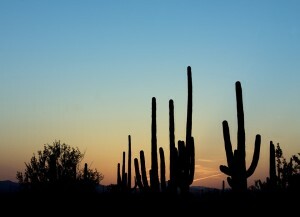 Is There a “Bad Time” To Sell A House In Tucson? It’s doubtful! If you ask the local Realtor® board in Tucson, you probably won’t hear that there is a “Bad-Time!” to sell a house in Tucson! When you look at our year round sunny weather, and moderate temperatures, it’s difficult to make the “Buyer’s are snowed in” argument! Nonetheless, if you are asking yourself “When is the best time to sell a house, particularly in Tucson?” there are a few considerations! Aside from the traditional arguments of spring vs. winter markets, there is another consideration. Time! There are times when you have time to prepare for your home to sell. When the home is “too small” because your family has grown, then it clearly is something that you have time to prepare for. Likewise, if your current home is too small, or you possess a “extra” home (i.e. a rental property) then you can pick and choose the time to sell your home. Interest rates have remained at historically low levels for quite some time. It is unknown when they will rise; however I think it is fair to say that they won’t get much lower! As such, when the interest rates start to rise, it’s likely that buyers who have been on the fence about buying will make a decision to buy. All of these factors can be analyzed by a competent Realtor® who can advise you as to if your home is ready for the open market! Sometimes, Fate has other plans. Emotions can cloud your judgement, and while selling the home may seem to be the first instinctual thing to do, my advice is to wait. Let your judgement be clear when you are selling your home. Talking to a friend, or a counselor prior to selling your home is always a good idea. Once you have firmly decided that selling the property is what must be done, then there are a multitude of ways to sell it. Selling it with a Realtor® on the MLS is an option, but for a growing segment of Tucson’s population, they are choosing to sell it directly to an Investing Realtor® like me! Click here to get a fair, fast offer on your home! Over the 22 years as a Realtor®, Broker and Investor; I’ve learned a few things. Sometimes, a Seller will unfortunately “run out of time” when they are trying to sell their home. Typically, it is when they are facing a foreclosure, and they received the notice of default. It’s at that moment that the crushing weight of the process hits many of them. It’s terrifying. Other times, it’s when the Seller is moving out of State, or to a new home. Facing two monthly house payments can get expensive quick! It’s in these times that a homeowner needs an offer fast! It’s in that moment that your best option is to contact an investing agent such as myself! In short, anytime! Our great weather, vibrant economy, and strong agent base in Tucson makes the Old Pueblo a great community in which to sell. The biggest question is a matter of your personal timing. If you are looking to sell your home fast in Tucson, get a fast, fair offer by clicking here! Or calling me directly at (520) 403-6227!